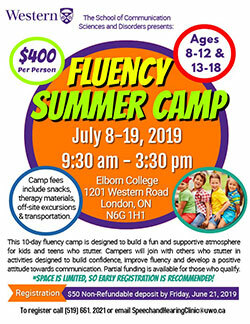 This 10-day fluency camp is designed to build a fun and supportive atmosphere for kids and teens who stutter. Campers will join with others who stutter in activities designed to build confidence, improve fluency and develop a positive attitude towards communication. Space is limited. Early registration is recommended.